Great as usual. Everything was done perfectly and quickly and almost painlessly. This was the last appointment for a treatmentof about 4 months, where I got a new implant and a new crown (outside of the regular "no cavities" visits and the cleanings). Dr. Aller and her team always make you feel as comfortable as possible, everyone in the team is lovely and they explain the procedures perfectly before, during and after performing them, and afterwards they follow up on you. Scheduling is always easy and they're always available for emergencies. Great as usual. Everything was done perfectly and quickly and almost painlessly. This was the last appointment for a treatment of about 4 months, where I got a new implant anda new crown (outside of the regular "no cavities" visits and the cleanings). Dr. Aller and her team always make you feel as comfortable as possible, everyone in the team is lovely and they explain the procedures perfectly before, during and after performing them, and afterwards they follow up on you. Scheduling is always easy and they're always available for emergencies. Dr. Aller is an incredibly kind and wonderful doctor. As far as I'm concerned, she's the best dentist in Miami. Incrediblyknowledgeable, friendly and professional. Dr. Aller is an incredibly kind and wonderful doctor. As far as I'm concerned, she's the best dentist in Miami. Incredibly knowledgeable, friendly and professional. ** Out Coral Gable location works with many PPO Insurance Plans. Please give us a call to confirm! 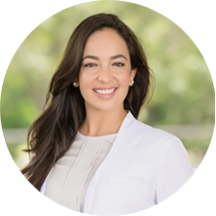 305.569.9966 ** Dr. Anna Aller was born in Venezuela where she graduated as a dentist from Universidad Central de Venezuela. She then graduated from Nova Southeastern University where she got her degree of Dental Medical Doctor. She is the mother of one son born in 2005. Dr. Aller is known for being extremely skilled and talented. Her patients know her for being very gentle, professional and caring. She is committed to offering the highest standards of oral care using the products with the highest quality and the most advanced technology. She offers true Modern Dentistry in a very artistic and delicate way. Anna Aller is a doctor very professional. Never have felt as secure with any other Dr. Aller really listens to my concerns as a patient and tries to accommodate to those concerning issues. Anna is the most accountable dental surgeon I have ever seen. She has also created a culture of excellence in Miracle Smile Dentistry where people really care about you. I came in today for a follow up treatment for me and for a cleaning with my two children. My treatment required anesthesia and a lot of drilling of an old cavity. It went very smoothly and painless. Dr. Aller hasa gifted hand and her assistant Laura was wonderful as well! Every time I come, learn so much about how to take better care of my teeth thanks to Dr. Aller and her medical staff. They are outstanding!! Now my kids......they came totally apprehensive about seeing the dentist (first time with Dr. Aller for them). The hygienist and Dr. Aller did an amazing job with them. So much so, that my kids tole me they wanted to go to the dentist every day before school!!!! Now that is a 180 degree change. Very grateful for the personal and loving attention and outstanding dental care we received!! She is a fairy and very professional. Serious but soft. Kind and caring. My favorite dentist. Dr. Aller is the ultimate dentist. I just had two cavities filled, and I can sincerely say, I have experienced more discomfort drinking a glass of Napa Valley Pinot Noir--yes she really is that exceptional. My appointment started right on time,there was no hurry, and she spent all the time it took that was needed, in a very relaxing and comfortable atmosphere. I would -- and will -- highly recommend Dr. Aller to anyone looking for a five star professional dentist. Going to the dentist us not a nightmare anymore. I love Anna Aller and her team. I did the whitening and the person was very nice too. The hygienist was phenomenal and extremely empathetic,doctor polite and kind,the staff was very professional,thus far a pleasure. On my way home I was telling my daughter, Luz, that Dr Anna Aller is a very caring and compassionate dentist and has hired her staff according to herself. As a patient I felt comfortable and safe in her office. I would love to keep her as my dentist. Dr. Aller & her staff are simply the best. I was so nervous to start undergoing treatment to have my teeth taken care of and a crown replaced, but her office has made it a true pleasure. I am so happy with their services! She wanted the best for me. No matter how extensive the procedure would be or how long it would take. She wanted to make sure I am happy with the outcomes of it. Made me feel comfortable to know I can trust her with her decisions. I love Dr. Aller and her team. I've had an implant placed and all four wisdom teeth removed here, and I couldn't be happier with the results! Dr. Allen and her office staff are the best in every way. Office perfect clean, Administrator friendly and professional, dental assistants friendly and caring in every way and Dr Allen is professional, compassionate, and knows her job....Dr Allen and her office staff takes the fear out of the dentist visit. I was impressed with the way Doctor Aller explained everything. Excellent Service always. Dr. Aller is a fantastic dentist and I'm sad to say I won't be able to see her for checkups when I move. Dr. Aller and her staff pretty much all have a very light touch and are very attentive to detail. Wait times are usually minimal. The office is very clean and organized. Issues with street parking aside, I highly recommend switching over to her practice. A+++ service. Great care And helpful staff. The Whole office staff was awesome. Polite, attentive and very knowledgeable. Definitely coming back. I moved down to Miami back in April of 2014. Prior to coming down, I had a tooth pulled. I went to numerous different dentist and received consultations. I was either not happy with the physician or the pricing. I calledMiracle Smile and talked to Juan(The Office Manager). Juan spent almost an hour on the phone with me describing my options and what would be involved. Basically, I felt so comfortable with Juan that I decided to book an Appointment for a consultation. Upon meeting Dr. Aller, we agreed upon a course of treatment and we pursued through the implant process. Dr. Aller, is a true professional and is genuinely concerned about "Me" the patient and what the final outcome would be like. During the course of treatments for the implant, I also had other services performed. Her skill level is among the best that I have received. After finally getting my crown for the implant, and after being without a front tooth for over 9 months, I looked in the mirror and could not believe the result. I couldn't even tell what tooth was the implant. Obviously, I am very happy with my end result and really consider Dr. Aller my "Dental Care Expert" and a friend. I highly recommend Dr. Aller and the entire staff at Miracle Smile. The entire team is gentle, talented and kind. They take tremendous pride in their work. I wouldn't go anywhere else! I am honored to have the opportunity to share my gratitude to Dr. Anna Aller. Being in a dentist chair to fix dental implants is depressing and scaring. Dr. Aller gave me a coherent professional advise and proceeded with firm handsand kind personal treatment; for which I am grateful and please to testimony. Very happy with my consultation! Received excellent treatment from Dr. Aller & her entire staff. Looking forward to my first visit in two weeks! they are very good !! It was great! No wait, went right in and saw the dentist right away! Had 3 cavities and was in and out in less than 45 minutes! No pain at all! This was my first visit with the doctor, but she explained everything in detail and took her time making sure I understood what was being said. She's also careful and detailed when working on your teeth, not in any rush tojust get you out of there. The entire staff was very welcoming and kind. I had a difficult job to do. It was well resolved.